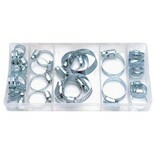 26 piece assorted hose clip set for securing hoses around pipes and for automotive use. 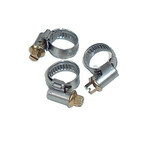 Worm gear type screw & thread and zinc plated for corrosion resistance. 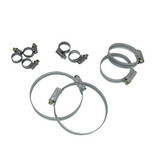 26 piece kit contains six of the most popular diameters of worm gear tightened hose clips. 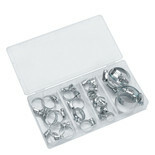 8 x 16mm, 6 x 22mm, 4 x 25mm, 2 x 28mm, 2 x 35mm, 4 x 40mm. Worm gear type and zinc plated.